We are a fruit farm and market located in Southwestern Michigan near the Sister Lakes area. We offer seasonal fruits and vegetables as well as a corn maze in the fall. There is a playground for the kids, and fun activities for the whole family. Check out the gem mining and Geo - Trax Train room. Select your seasonal favorites from the market. Enjoy our selection of blueberries, raspberries, blackberries, nectarines, peaches, and plums. 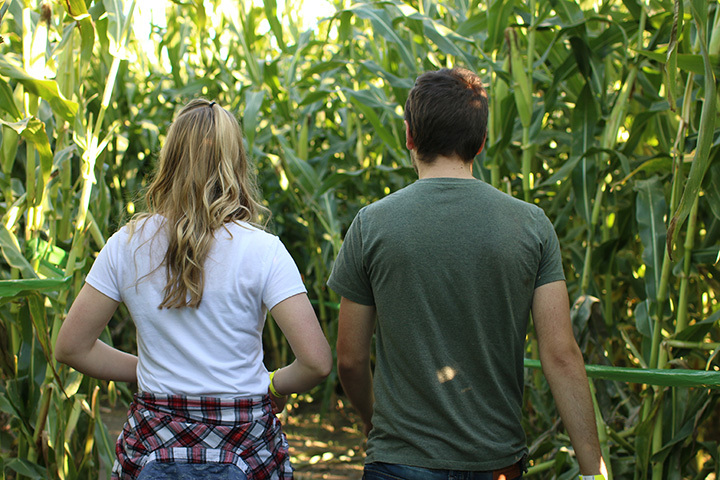 Enjoy a hayride and a challenging corn maze before going out to the field to pick your perfect pumpkin. Gather all your harvest goods from the market including gourds, indian corn, squash, apple cider, honeycrisp apples, and other apple varieties.